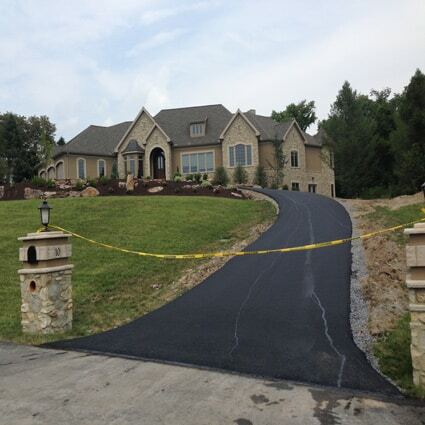 Roland Builder Inc, located in Mechanicsburg, PA, needed asphalt driveway paving done for their new construction homes in Dillsburg, PA.
We added 3 inches of top brand asphalt for a smooth finish to the driveway. We also installed a stone base and compacted the stone for proper water drainage. They will meet with the house owner to discuss the project that’s required, find out the approximate price of materials and labor, and so give an estimate to the house owner. The house owner might rent them to place down a floor, patio, or walkway. They’ll also repair structures like walkways or stairs. a number of these paving firms might concentrate simply on landscape paving. this will embrace laying stone things like outside tiles or pavers or be putting in a poured surface.